Dr. Kishore Kumar completed MBBS from Martin- Luther University, Halle, Germany, Facharzt fur Chirurgie (Specialist in Surgery) from Academy for Postgraduate Medical Training Berlin, Germany. He has a total of 7 years experience in a leading private Hospital in Kannur, Kerala and 2 years overseas experience in Benghazi, Libya. 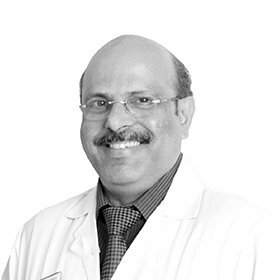 Dr. Kishore has more than 8 years experience here in U A E. His expertise includes Screening & Counselling for all kinds of Proctological conditions, as well as undertaking of variety of minor surgical procedures on outpatient basis.